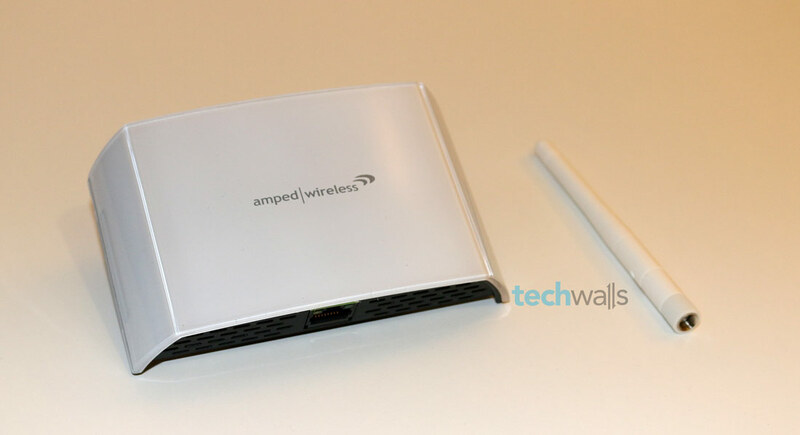 Amped Wireless REC15A Wi-fi Range Extender Review - Should you Upgrade? Probably you have already been familiar with Amped Wireless as they have some successful networking products. 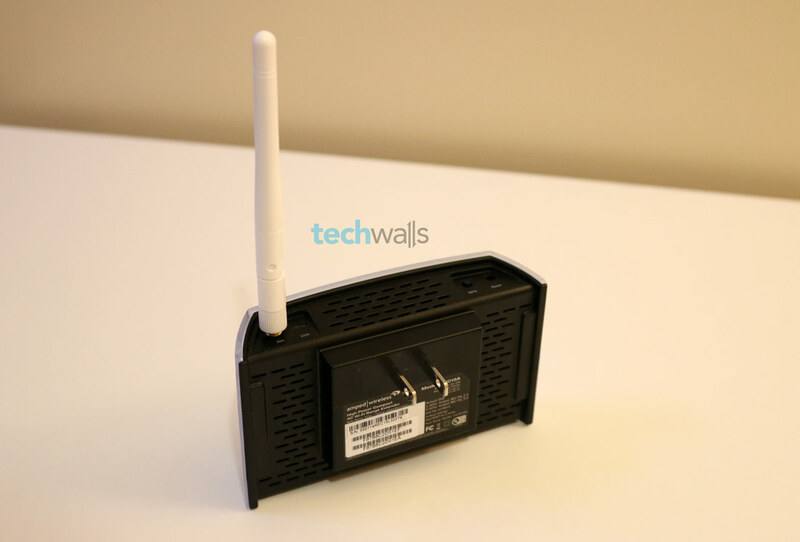 You might remember REC10, one of the best selling Wi-fi range extender on Amazon, and we also reviewed this product in late 2013. In this article, I’m going to review REC15A, the next generation of REC10. The product comes with some important upgrades and I really hope it can help provide better Wi-fi coverage in my house. Let’s check it out. 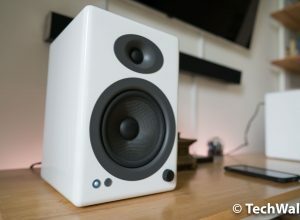 The REC15A keeps the same simple and clean design as its predecessor. It looks quite similar to the REC10A with a transparent plastic plug-in unit and a detachable antenna. You can only differentiate the two products with some minor changes. Firstly, I no longer see the logo lighted up when in use. Of course the glowing logo looks great but I hardly look at the extender anyways. Next, the back of the unit is now black instead of white and buttons are now moved from bottom to the top. Setting up the REC15A is quite easy. All you need is attaching the antenna to the unit and plugging in any power outlet. 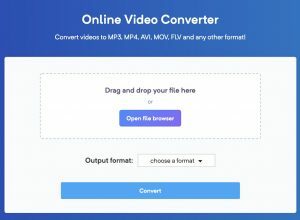 I wrote a simple tutorial on how to set up the REC15A, you can check out that post for more details. Although REC15A is the new generation, its Wi-fi coverage is a little lower than the REC10 (5,000 square feet compared to 6,000 square feet). However, the difference is not significant. 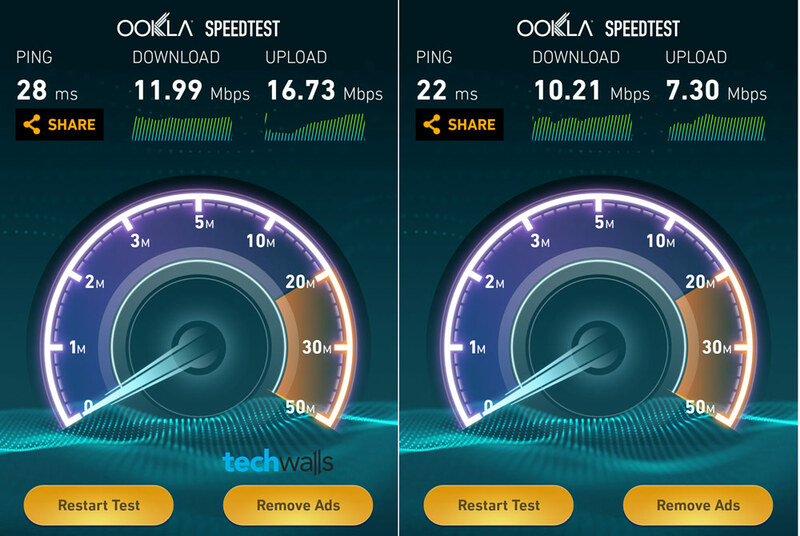 I tested the coverage of REC15A in two different locations in my house. The first location is 17 feet away from the extender with 1 blocking wall, and the second location is 31 feet away with 2 blocking walls. The second location was a dead zone in my existing network as I almost don’t have Wi-fi connection there. 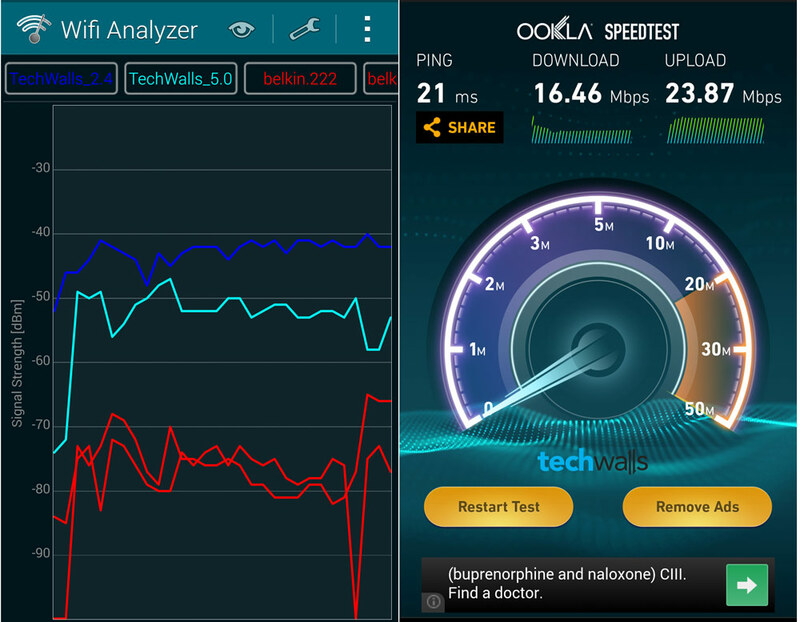 The device I used to test is the Samsung Galaxy S5 with Wi-fi analyzer and Speed Test apps. Below are the results. 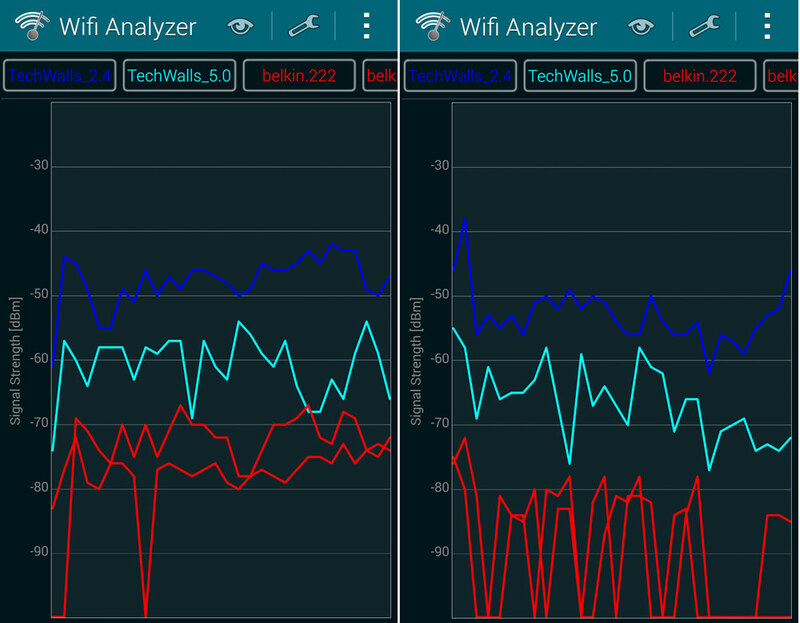 My extended networks are named TechWalls_2.4 and TechWalls_5.0 (blue and light blue lines respectively) while the original networks are belkin.222 and belkin.222.5Ghz (red lines). Obviously I have better reception in the 1st location, the average signal strength is about -45 dBm. When I moved to the 2nd location, it decreased to just around -55 dBm. However, both of the extended networks provide better signal to these locations compared to my wireless router. The download and upload speeds are slightly faster in the 1st location. And the speeds are also not bad at the 2nd location. Now, I am trying the most notable upgrade of the REC15A, that is the feature called BoostBand technology. It is said to improve speed and performance of extended networks by streamlining dual band traffic between REC15A and your router through a single Wi-Fi frequency band. And this is the speed I got after enabling this feature, it is almost 50% faster than the speeds I reached earlier. Amazing, huh? After 1 week using the REC15A, I only had one problem. When I started up my computer, I was unable to connect to the extended network. Therefore, I often had to connect to my existing Wi-fi network and then reconnect to the extender. After that, everything works perfectly. It was quite inconvenient and I had to contact support a few days ago. They suggested to change the Wireless Security from WPA mixed to WPA2 and now the issue doesn’t happen again. 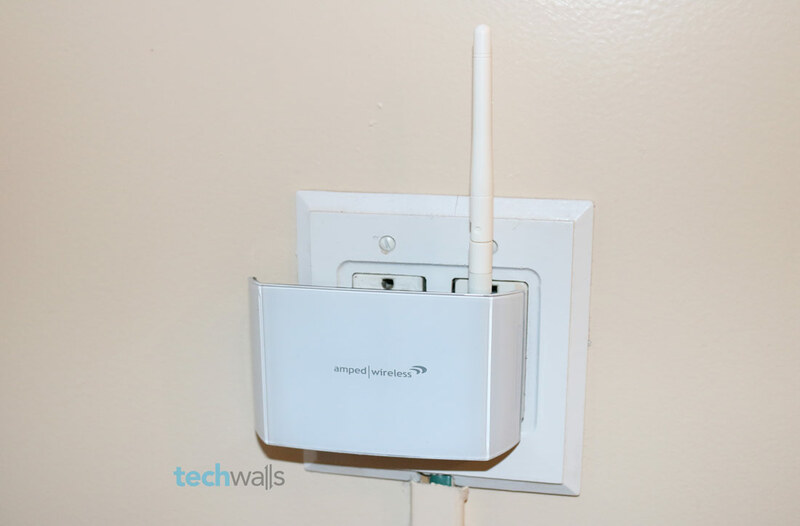 It really can extend your existing Wi-fi network. Extend both 2.4 and 5.0GHz networks. BoostBand feature can increase speed by more than a half. Coverage is lower than its predecessor. The REC15A is on sale for $99 on Amazon. I recommend this product because it works like advertised and can solve the problem of Wi-fi dead zones in my apartment. A great solution to expand your Wi-fi coverage. 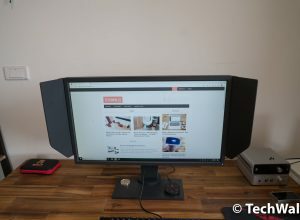 I ordered the SR10000 on March 17, 2014 and have not been happy at all with it. Could I send it back to you and exchange it for the REC15A Wifi Range Extender? I have already unplugged and stopped using the SR10000 and have the box to send it back in. Please advise. 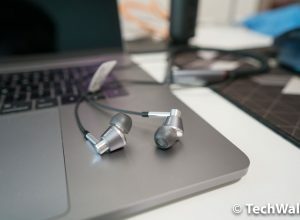 Can you write a review of the SR10000? I want to know what is wrong with that device.